Report Bad Buyers and Screen New Buyers! Has your online buyer been good or bad? Report your bad buyers, thank the good ones and protect yourself from those you don't know. It's easy and it's Free ! Notify your buyers of your reviews! 3 out of 5 buyers when notified of a bad review tend to be more cooperative in resolving an issue. We offer complete buyer profiles including both negative and positive reviews submitted by real sellers, on real transactions with deliveries verified by tracking numbers. This feature notifies you of high risk shipping destinations, so you can better service your customers. Remember, not all postal codes are equal! Integrate our easy-to-use API into your selling platform to immediately benefit from our online seller risk management system. Thousands of sellers have already done so. Bad buyers beware! eBuyersReviewed is the world's best place to screen and review online buyers. Here you can report a bad buyer who: made unreasonable demands, gave unfair feedback, misused returns, refused a delivery, disputed charges, or just made your head spin. When you report a bad buyer, make sure you explain your case in detail, so other sellers can learn from your experience. After you report a bad buyer, or give a good buyer a positive review, you may select that our system notify them of your review. This makes your review even more powerful. Sellers report bad buyers because they believe they have been treated unfairly, often neglected by third parties such as eBay, Amazon, etc., and want to voice themselves. They also want bad buyers to be held accountable for their actions by bringing publicity to their experiences. Sellers who report a bad buyer with us, and ask us to notify the bad buyer of their report, are able to resolve an issue with that bad buyer more successfully than sellers who report a bad buyer without notification. Notifications by email are free to all members! Membership is also free! Join our large pool of sellers to lower your risk selling online and improve your financial performance. Protect your business from bad buyers who have made unreasonable demands, given unfair feedback, misused returns, refused delivery, disputed charges, or just made a seller's head spin. Retailers, whether selling on eBay, Amazon, Etsy, etc., or on their own sites reduce expenses related to problem buyers by 30-50% using our website. 82% of eBay sellers feel that they should be able to give their buyers negative feedback, just like their buyers can do for them. Your opinion matters! We will make sure the world hears it. Whether in the US or abroad your buyer is likely to have been dealt with and reviewed by another seller on eBR. Learn from the experience of others. It pays! Justin Loyola is considered to be a medium-to-high risk buyer. The buyer has been reported for having misused returns. Avoid this buyer at all cost! He got refunded and never returned the items. I shipped 2 bedding sets to Justin Loyola for his order from amazon. Now he says he doesn't need them. He's refunded but he has to send them back to an address in USA. He's not replying me for this matter. He's a scammer. Agnes Buhagiar is considered to be a low risk buyer. Excellent buyer! No problems whatsoever! The buyer purchased an iPhone from my online store. Everything went very smoothly and I had no issues with this buyer. Way to go Agnes! You have until July 3, 2015 to resolve this matter. After this date, the report will be automatically released to online retailers and its removal will be arduous. For more information about this review or to learn more about our services, you may visit www.eBuyersReviewed.com. For more information about your review or to learn more about our services, you may visit www.eBuyersReviewed.com. Buy for less - more than 60% of sellers are willing to give additional discounts to “headache free“ buyers. If you are such a buyer with a stellar rating at eBR, show sellers your record and ask for a better price. There is nothing to lose and so much to gain. Get an edge in auctions - auctioneers prefer buyers who have good track records and who are more likely to complete a transaction successfully after winning an auction. Price often comes second in importance! 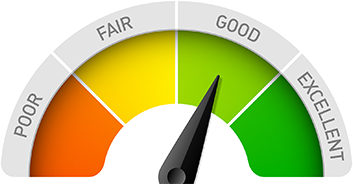 If your buyer rating at eBR is excellent, make sure the seller knows that, so you can increase your chances of winning an auction. Clean up your record - find out if somehow you failed to perform as well as you could, and if as a result your buyer rating has been hurt. Our research shows that almost 90% of sellers would remove or alter a rating they gave their buyer if the buyer is willing to cooperate.